A number of years ago, while serving as deputy chief of the Wellesley (Massachusetts) Police Department, I was sent by my chief to a symposium on eyewitness identification reform. It would be an understatement to say that I went with reservations about the subject matter. I remember thinking that the policy recommendations that would be discussed amounted to little more than a problem in search of a solution. I was surprised to learn that eyewitness misidentification is a leading contributor to wrongful convictions, contributing to nearly 75 percent of the 321 DNA-based exonerations in the United States since 1989, but I was still skeptical of the effectiveness of the “reforms” advocated—until I looked at the research. The studies, articles, and commentary I read, from scientific researchers, academics, and law enforcement officials, supported much of what was presented at the symposium. That research led to a change in my opinion, and I have since dedicated much of my life’s work to advocating for changes in traditional eyewitness identification practices. As a result, the Wellesley Police Department ended up changing its eyewitness identification policy, as has the Norwood (Massachusetts) Police Department, where I currently serve as chief of police. These departments, along with a growing number of others in Massachusetts and throughout the country, have adopted evidence-based eyewitness identification best practices that protect the departments, the prosecutors, and the public from eyewitness misidentifications and possible wrongful convictions. The NAS stressed the importance of providing both recruit and refresher training to law enforcement on vision, memory, and the practices the police can employ to minimize contamination and enhance the accuracy of the identifications they obtain. Live and photo lineups should be conducted by a blind administrator. 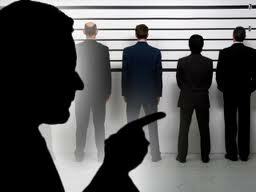 In the case of double-blind lineups, neither the administrator nor the witness knows the identity of the suspect. In instances where a smaller police agency lacks personnel to conduct a double-blind lineup, the NAS recommends a “blinded” procedure where the officer knows the identity of the suspect but performs what is known as a “folder shuffle” to prevent him or her from seeing which photo the eyewitness is viewing. With both methods, because the administrator is effectively “blinded,” he or she cannot unintentionally convey any gestures or clues which might prompt an eyewitness to make a selection. Law enforcement should develop standardized witness instructions informing the eyewitness that the perpetrator may or may not be in the lineup and that the investigation will continue regardless of whether a selection is made. This will reduce the chance of the eyewitness feeling pressure to make a selection out of fear that the investigation will not otherwise continue. After a selection is made, officers should immediately take down a verbatim confidence statement in which the eyewitness articulates how certain he or she is. This is important because an eyewitness’s confidence can become inflated between the time of an identification and a possible trial. Having the witness describe his or her level of confidence at the time an identification is made will provide juries with a useful tool for judging the true level of confidence articulated by the eyewitness at the time of an identification. Identification procedures should be video-recorded from start to finish to preserve a permanent record of the procedure. These practices are part of the policies that are already on the books in Wellesley, Norwood, and departments across the country. Additionally, 10 states have uniformly adopted most of these best practices through law, policy, or court action, and in 2010, the International Association of Chiefs of Police came out in support of these reforms. Decades of social science research support the effectiveness of these practices as a means to reduce the likelihood of eyewitness misidentification. Still, the significance of the NAS report’s affirmation of previous research is monumental. It is the first ever comprehensive look at the existing research surrounding eyewitness identification and effectively settles the science. This means that there is no longer any reason for chiefs or heads of law enforcement departments to be skeptical about the usefulness of these practices, a sentiment I can absolutely relate to. The scientific debate around these practices is over, and this report provides law enforcement agencies across the country an opportunity to update their eyewitness identification policies with the strong, scientifically supported practices. 1 The Innocence Project, “National Academy of Sciences Issues Landmark Report on Memory and Eyewitness Identification,” news release, October 2, 2014, http://www.innocenceproject.org.